Across a wide range of businesses and industries, both routine and emergency generator fuel are vital. If a power outage occurs, without emergency backup generator fuel to supply power to your business, you will suffer downtime, which will be costly. A power outage emergency can happen at any time. Accidents and natural disasters can be completely unpredictable, and the consequences for your business can be disastrous. Data centers: Backup generator fuel for your data center could be what keeps you in business. A data center’s reputation is completely tied to its ability to offer services with almost zero downtime. Even a single extra moment of downtime could ruin that reputation, meaning you must always have a source of power available. Financial Corporations: Similar to data centers, loss of power could mean the loss of stored data, technical issues, or create vulnerability to spam and hackers. This could create issues in privacy and data loss for your clients and in turn, issues for you as a company. Hospitals: Backup generator fuel for a hospital may be even more important than that for a data center. No one wants to lose critical business data, but when it comes to hospital power, actual lives are at stake. No quality hospital would ever let themselves be in a position where they might be out of power for any significant length of time. 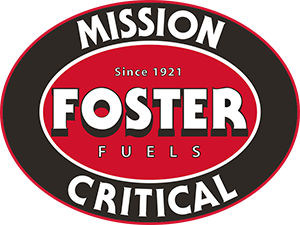 When you choose Foster Fuels’ Mission Critical division for your provider, fuel management for your backup generator ceases to be a concern. We take care of virtually everything, from filling your tanks on a regular basis so that you never have to worry about running out to supplying extra fuel when needed during an emergency. Contact Foster Fuels and never again worry about running out of power because of lack of fuel. Additives: Foster Fuels has access to a wide range of high-quality fuel additives, but not all additives are appropriate for all fuel environments. Our experts will analyze your fuel use and storage needs and recommend additives that are sensitive to your budget and your company’s specific needs. We will find the additives that will help your fuel last for as long as you need it to in order to further ensure less downtime and waste. Fuel polishing: Some experts say that fuel can start to degrade dramatically by the six-month mark. Since your fuel may be sitting in backup generators for much longer than this, it can be to your benefit to take advantage of our fuel polishing services. We use a special blend of additives, filters and fuel polishing equipment to reduce fuel degradation and leave fuel that has been sitting in your generator tank almost like new. Fuel testing and analysis: While we can ensure the quality of the fuel we bring you, it’s difficult to know the condition of your fuel after it has been sitting in the tank for a while. Contamination may have many opportunities to seep in and affect the cleanliness and quality of your fuel. We offer single testing and long-term monitoring services so you can always be aware of the health of your fuel and take action to remediate any cleanliness issues. Tank cleaning and maintenance: Some companies may go years without fuel tank cleaning or maintenance. Some may never do it at all. But various contaminants can often seep into your tank and grow if you do not address them. Our fuel tank cleaning experts can get into your tank and carefully clean it to help keep your fuel healthy. For routine fuel delivery, fuel management or other fuel services, get in touch with Foster Fuels today.